misinformation and censorship. 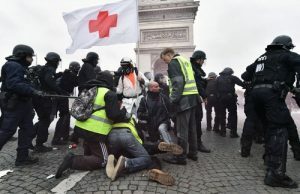 In Europe, the mainstream media has stopped showing images of the protests in France, as if to smother information about it, preferring to portray an image of France that belies the chaos in which it has been immersed for every weekend over the last few months. government of Caracas, which during just over a decade in power, reduced the level of poverty, illiteracy and corruption in the country, lengthening life expectancy and increasing access to education. The leftist model followed by dozens of South American countries during the 2000s favored the poorest layer of society by redistributing the wealth of the top 1%. 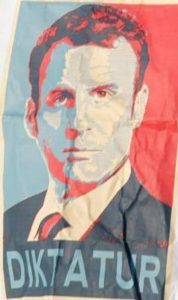 France are not conscious of it, they are actually protesting against an unjust, ultra-capitalist system imposed by the globalist elite of which Macron is a major cheerleader. 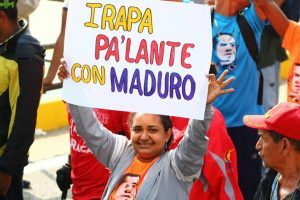 In Venezuela, the ultra-capitalist class, backed by the transnational globalists, seek to overthrow a socialist system that places the interests of the 99% before those of the 1%.